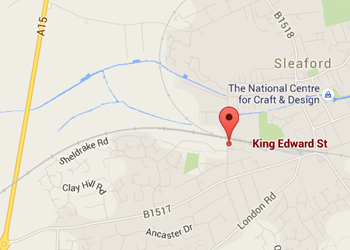 Castle Park is ideally located on King Edward Street, Sleaford, a short walk from the town centre. The A15 is close by and provides good access to the nearby towns of Lincoln and Grantham. 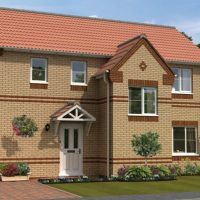 The development of 143 homes is ideal for a range of buyers offering 2, 3 and 4 bedroom detached and semi-detached houses. There is a choice of properties in 10 different designs all with an excellent specification and finish. 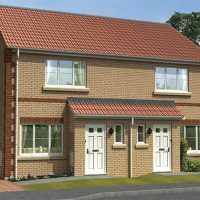 The Melrose is a spacious four bedroom detached home with hallway and downstairs cloakroom leading to a modern spacious lounge. It features a modern dining kitchen with french doors leading onto the rear garden with patio area for outside dining. Upstairs there are four bedrooms with master en-suite and a family bathroom. The property also benefits from a driveway leading to a single garage with front and rear gardens. Our Show Home at Castle Park is a four bedroom detached house “Milton” type. Please come and see us to view our high quality homes and specification. Castle Park is an exclusive residential development situated off King Edward Street, Sleaford. It is located within easy walking distance of Sleaford Town Centre and gives good access to commuter routes via the A15 and A17. Sleaford is the last remaining market town in Lincolnshire to be served by both north-south and east-west train lines and the British Rail station is within 5 minutes walking distance. Castle Park is a development of 143 homes suitable for a range of buyers. There is a choice of two, three and four bedroom properties in 10 differing designs. The specification is to a very high standard with attention to detail on every property. Sleaford is an attractive, busy market town promoting traditional village values whilst encouraging a thriving community. The River Slea and Sleaford Canal run through the heart of the town centre creating a pleasant retailing environment. There are many historic buildings in the town with St Denys Church having one of the oldest broach spires in England. Other visitor attractions in the local area include Cogglesford Watermill, Heckington Windmill and Belton House. There are plenty of activities and events on offer for all members of the family. The Charity Raft Race and The Water Festival are held annually with music and entertainment.  There is an indoor play centre in Sleaford for younger family members and nearby Ancaster offers more adventurous activities of karting, quad biking, paintballing, bowling and lasertag. The town centre provides a wide range of amenities with plenty of shops, banks, pubs and cafes. Supermarkets in Sleaford include Tesco, Sainsbury, Lidl and Aldi. The thrice weekly market offers a range of stalls selling fresh produce, flowers and clothes. Buses operate regularly to the town centre. Lincoln, only 17 miles away, is a stunning cathedral city, combining fascinating history with superb modern shopping facilities to enjoy. The University of Lincoln Campus is also located here and offers a wide range of courses. Sleaford railway station is located to the south of the town centre approximately 10 minutes walking distance to the development. From the main market square on Eastgate proceed along Southgate towards Sleaford’s Handley monument. At the monument turn right down Nags Head Passage and continue alongside the railway line joining Castle Causeway and the development is on the left. FROM THE NORTH/SOUTH/WEST – From the roundabout with the A15 and A17 take A15 signposted Grantham / Bourne. At the next roundabout turn left onto the B1517 heading back into Sleaford. Take the 4th turning on the left into King Edward Street after approximately 1 mile. FROM THE EAST – From the A17 take the junction signposted Sleaford and continue towards Sleaford on the Boston Road. Take the B1517 signposted Grantham via the A153. Cross over the railway line turning right onto London Road / Grantham where King Edward Street is situated on the right hand side. For Sat Nav purposes we recommend using postcode NG34 7NN.